Flights will land at Adelaide Airport at 5am from April in a decision which has angered western suburb residents but received praise from officials who say it will boost tourism. 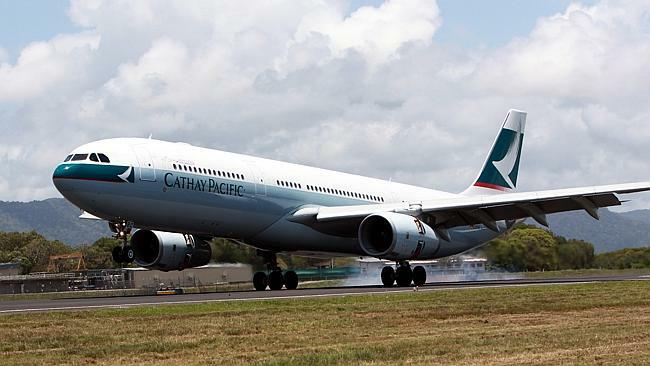 The Federal Government approved a Cathay Pacific application for four international flights a week to arrive in Adelaide at 5.10am on Friday, outside the 11pm to 6am curfew, between April 6 and October 4. It means Cathay Pacific flights coming from Hong Kong will arrive directly in Adelaide, instead of stopping over in Melbourne. Deputy Prime Minister Warren Truss applauded the approval, saying the direct flight would generate $24 million worth of tourism dollars each year and is a boost to the state's economy when it is badly needed. But State Government Minister and West Torrens MP Tom Koutsantonis described it as a "fundamental betrayal". "It will have a huge impact on those living in the western suburbs, not only will it dramatically attack property prices, but all areas of living," he said. Mr Koutsantonis said he will campaign, with the support of those in his electorate, to have the decision overturned. Western Adelaide Coastal Residents Association president Jim Douglas feared allowing one airline to land would open the floodgates for others to follow, causing further noise complaints. "That's our real worry, that more planes will be coming in at these times," he said. The Adelaide Airport Curfew Act 2000 allows up to eight scheduled "aircraft movements" a week in the one-hour period either side of the curfew. Flights within the airport's shoulder period - one hour before and after the curfew -approach the airport over Gulf St Vincent unless it is deemed unsafe to do so. It is the first time in 12 years that passenger flights have been scheduled to land during the curfew. Four Qantas flights arrived in Adelaide from Singapore each week between 1993 and 2001. Earlier this month, Adelaide Airport managing director Mark Young told The Advertiser he supported Cathay Pacific's application. "We're going to get same-day access to 17-plus mainland China cities," he said. "This has opened up China to SA in a way that to this point hasn't been done before." Mr Truss said the flights needed to land in Adelaide at 5am to accommodate available slots in Hong Kong and allow connections to other parts of Asia and Europe. We've got the routes ready in our system for when these flights do start.